A Subramoni, a techie and working in China for an Indian software firm, and Flavia Giulianelli, an Italian fell in love when they met at an event in the dragon nation. 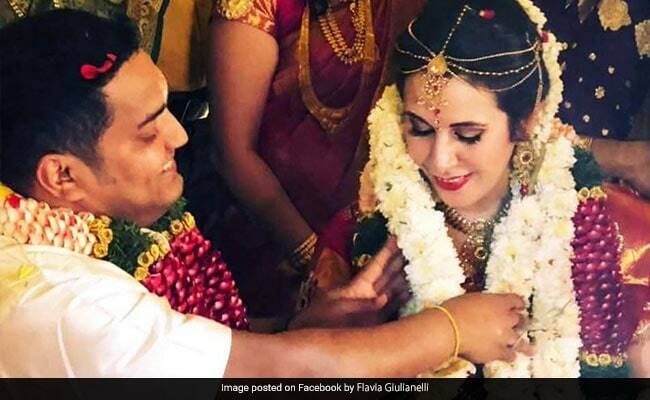 Nagercoil: A Tamil man married an Italian woman in Nagercoil as per Hindu custom, complete with tying of mangalsutra and playing of traditional music. The Italian, also working in China and the Tamil Nadu man decided to get married and the wedding took place in a marriage hall. 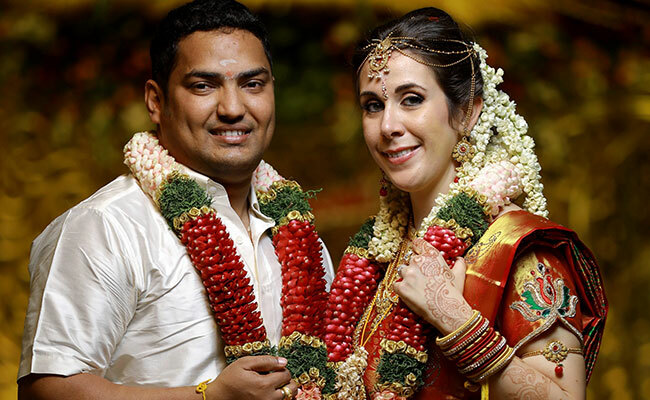 On Sunday, Mr Subramani after completing rituals in the presence of Flavia tied the thali (mangalsutra) around her neck amid playing of traditional music and visitors blessed them by showering 'atchathai' (rice smeared with turmeric, a sign of auspiciousness and a mark of blessings). Mr Subramoni said the marriage was held as per tradition which was also a wish of Ms Flavia. "Both of us got permission from our respective parents for the marriage. She has a keen interest in Indian culture," he said. Ms Flavia told reporters that she was happy about the marriage, adding she loved Indian culture, dress, traditional music. "I like the country, the culture, the arts, the temples are very beautiful, music is very nice, I like all the dress too," she said.